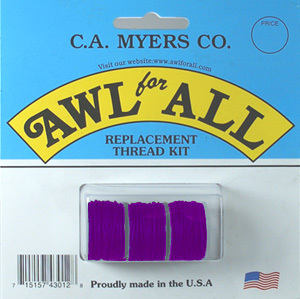 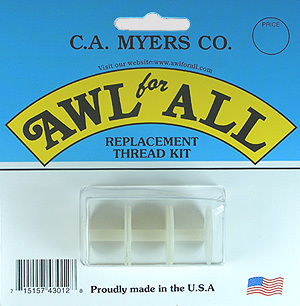 41-R Thread Kit-Navy - AWL for All from C.A. 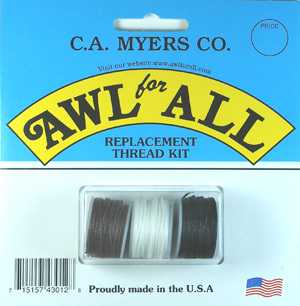 Myers Co. The 41-R kit is a blister pack containing 3 spools of navy triple strand waxed thread.